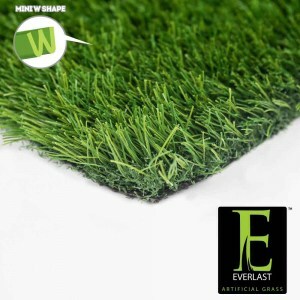 The Everlast Turf Imperial series features field and olive green grass blade color tones for with a brown thatch for an added touch of realism. The Imperial Fescue Green Thatch offers the same attributes of our Imperial Fescue synthetic turf with the exception of a green thatch layer. This green thatch layer provides a vibrant, evergreen appearance for those wanting a deep, lush option. The Imperial series showcases a mini “W” shaped blade for extra durability. The appearance and strength of this versatile series makes it the ideal match for any landscaping project.